Joy serves as a Program Coordinator for the CFAES Center for Cooperatives where she supports and facilitates the planning, organization and delivery of cooperative programming for the Center. She assists in the preparation of proposals, reports, and educational materials for publication and acts as a liaison to faculty and organizations, disseminating programs, information, and materials to foster cooperative development, strengthen existing cooperatives, and educate the next generation of cooperative leaders. Joy has been employed by The Ohio State University since 2006. 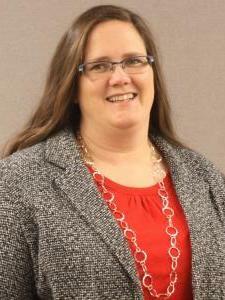 She is a representative to the CFAES Staff Advisory Council. Raised on a family farm and owning and operating Turkey Run Farms with her husband and family in Adams County, Joy has a lifetime of experience in agriculture. She is currently pursuing a Master of Science in Agriculture and Extension Education. Joy likes working with youth and is very involved in 4-H in Adams County, advising a local 4-H club as well as the Adams County 4-H Junior Leaders, and also serves on the Adams County 4-H Advisory Committee. As an FFA Alumni member, she enjoys teaching and coaching local FFA members as they prepare for FFA Career Development Events. Joy also serves on the Adams County Farm Bureau Board of Trustees.